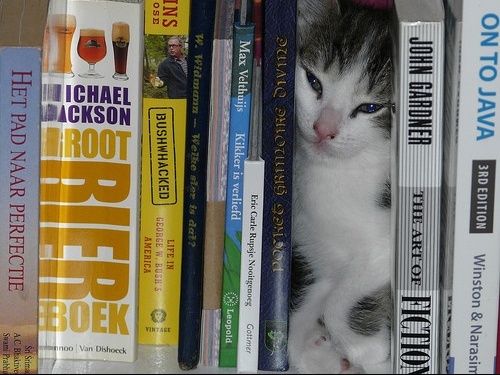 Reading books is serious business, and no one knows that better than these twelve cats. 1. "Go away, I'm reading Purrnest Hemingway." 2. "This book has absolutely no information on killing birds." 3. "For the love of God, turn the page. You are like the slowest reader ever." 4. "Now that's what I'm Tolkien about." 5. "Oh books, you understand me." 6. "He really should have called it The Story of Edgar Pawtelle." 7. "What am I reading? You've probably never heard of it." 8. "I have many leather-bound books and my apartment smells of rich mahogany." 9. "Quit Russian me, I'm trying to read here." 10. "This is my book. There are many like it but this one is mine." 11. 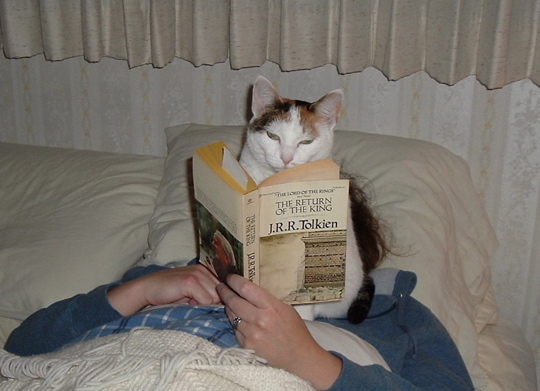 "Literary cat is not amused." 12. "It's called reading between the lines." 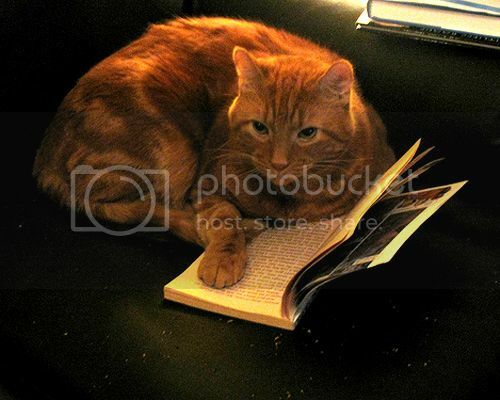 BONUS: A cat reading about cats. Catception.